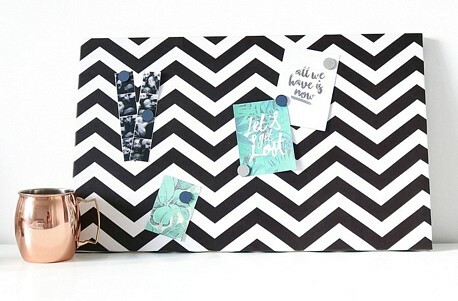 Black and white chevron is one of our newest additions. Each board comes with 4 hand painted wooden magnets and a hook on the back ready to be hung on the wall. Designer Bespoke Canvas Magnetic Noticeboards! 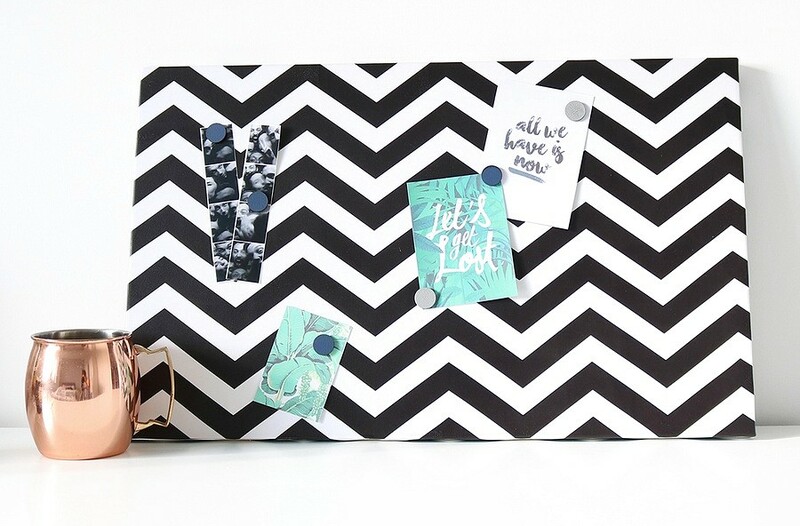 The Magnetic Noticeboard Company - create personalised christening and birthday presents or perfectly match your noticeboard to your interiors.